What have you done to your Mazda3 today? Thread: What have you done to your Mazda3 today? Had to return the quick struts. I physically cant replace them thanks to my partially torn Achilles. Its been 10 weeks but I still cant bend/kneel/squat without pain. Took it to a Mavis tire where I paid $485 to replace both, including alignment, which I thought was a good price. Gotta go back up tomorrow. On the eay home, the car was making a whining noise that sounds like its from the wheel area, a klunking noise when brakes were applied and it shakes like hell at 55mph. Shake goes away at 65/70mph but is still there. Couldnt turn around and go back today as we had plans for the afternoon that I couldnt cancel. Called and was told it sounds like a frozen caliper and to come back and theyll look at it. Seems odd to me. Car was driving/braking just fine prior to going on their lift. In the 3.5hrs it was on their lift the caliper froze? Whining noise gets faster as I accelerate which reminds me of a bearing? But again, no noise when I pulled into their lot. He did tell me that they did not have to remove the axle nut to replace the struts and that the trans mount is going bad. 99 percent of the time I've ever heard noise from the wheel area it's been a brake shield contacting the rotor or a small stone worked its way in there and got stuck. Thats what I am hoping for. Checked in and waiting for them to get it on a lift. Not much of a big deal....Re-did the Windshield Vinyl banner since the old one was 3yrs old and falling apart....Some other Cosmetic Changes I did, I re-did the Blk Vinyl under-shadow of the headlights to be more straight edge vs. a curvy area...I think it looks more aggressive!. ^^^^I like what you did with the shadow under the headlights and the bumper. Nice touch! I'm sitting at Mavis again. Drove up Sunday morning where they confirmed the sounds and shakes. They said everything looked good and was torqued correctly. Since it was Sunday, they couldnt get new parts if the strut(s) were bad, so they didnt want to tear it apart. Hence, I'm back again. Also going to revert to old alignment settings to see if that fixes the shake. Tried telling me Sunday that the shake could be from the trans mount going bad. Ummmm, the damn car ran fine before it went on your lift?! So did your tech eff up the trans mount or eff up my caliper? If one or both are now frozen. Update - made a third trip up there yesterday. They had the car on the lift for a half hour and then said that everything was installed correctly. All they did was verify everything was torqued correctly and double checked for any damage to the brake lines, etc.. They are insisting that the noises I am hearing are from the trans mount. If that doesn't fix it, then I should replace the DS front axle. I find it odd that when I left there, the shake wasn't as bad or the klunking when braking but the squeal is still there. Stopped at my mechanics on the way home to schedule the re-inspect and told him the story. They are going to dive into on Friday. I am interested to see what he says. Busy week for auto maintenance. On Sunday, Amazon had a sale on LED bulb replacements. 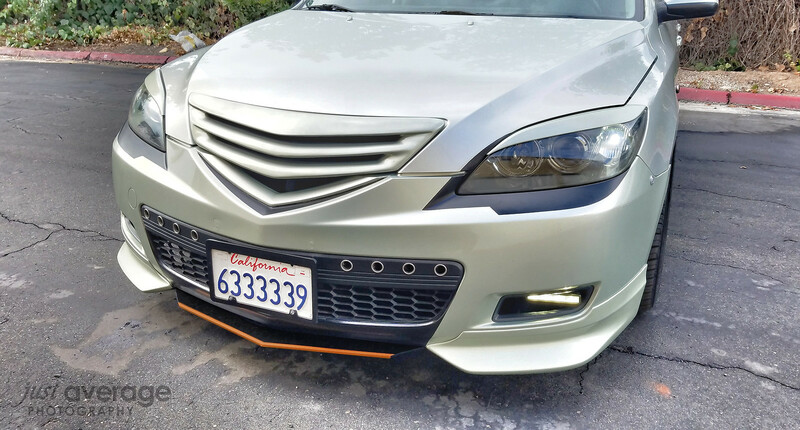 Haven't done anything else with my Mazda3 so I bit the bullet and got LED lo-beam and high-beam replacements. Put those in on Tuesday. I wish I had done that sooner! Much clearer and (to me) even coverage compared to halogen. I was so impressed that I got LED reverse lights that are arriving this afternoon. Yesterday went to my trusted shop and got an oil change, air filter, rotation, and checked battery charging system since I'm at 115k and about 60k since the battery was last replaced (previous one died of bad cells nearly 4 years ago). Everything looks good, mechanic said that its in great shape given the age/mileage and will probably last a long time. Planning on trading it in for a 2019 CX5 in the middle of 2019, hopefully before I have to replace the timing belt and flush coolant, so I can put those maintenance dollars towards my down payment. Installed new front control arm assemblies, mounted my Block8Head pod with ProSport oil pressure gauge, and installed a new solenoid valve assembly hoping to cure a P0661 (along with some hesitation after a shift). Just finishing up my short throw shifter too. Hopefully installing that soon. Alternator gave up at 193k miles. I just reinstalled it after being masterfully rebuilt by my local shop. Back in business for another 193k miles. Also finally ditched the fake woodgrain trim piece around the radio display and replaced it with the fake carbon fiber one. So much better now! What have you done to your 2010+ Mazda3 today? What Have You Done to Your New Gen Mazda3 or MS3 Today? 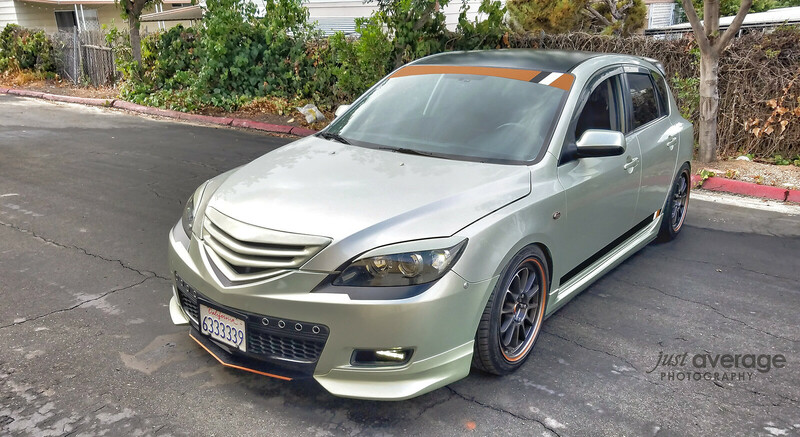 What have you done to your 2010 Mazda3/Mazdaspeed 3 today?